Manipulated Lives is quite different from my usual kind of read and probably not one I would have come across had the author not contacted me and asked if I would like to read it. I am glad she did as I found it quite a thought-provoking read. Helene also took part in an author spotlight on the blog last year which you can read here. 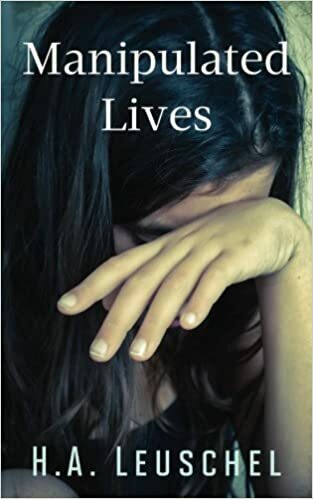 Manipulated Lives is a collection of five novellas with a common theme. In each story, there is a character who is either a manipulator or has been manipulated in some way. The manipulators are all kinds of people: parent, lover, boyfriend, child. And all appear to be normal everyday people. The story which spoke to me most was The Spell, the story of a woman beginning a relationship with a single father and his son Leo. As a reader it was clear that something wasn’t right with what David was telling Sophie but he seemed so convincing and to have all the answers. I think I was quite affected by this one as I was concerned for the future of little Leo. I also thought that the story of Holly was probably very true to life. She was a clever teenager who wanted to make a better future for herself yet still found herself duped by Luke, one of the cool boys in school, who over the course of their short relationship manages to cost her both money and self-esteem. I would recommend taking time to read each story individually, by which I mean not one after the other. This will give you time to reflect on the characters and events of each story. The book made me think about the many ways in which people can be influenced by others and consider at what point influence becomes manipulation. People who manipulate aren’t always who you might imagine and are clever at what they do, making their actions seem reasonable. Manipulated Lives in an intelligently written book with a reflective style of writing. Some of the stories are unsettling and they will make you think about whether you may know any manipulators in your own life.